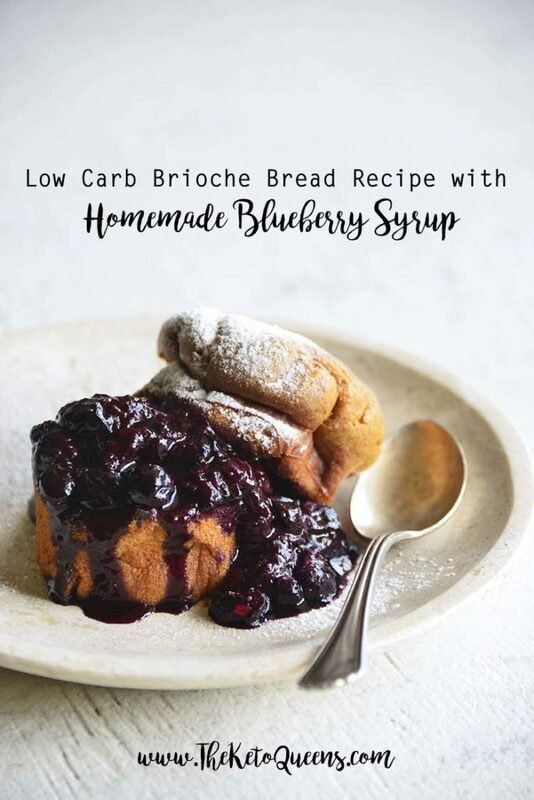 Low Carb Brioche Bread with Homemade Blueberry Sauce! 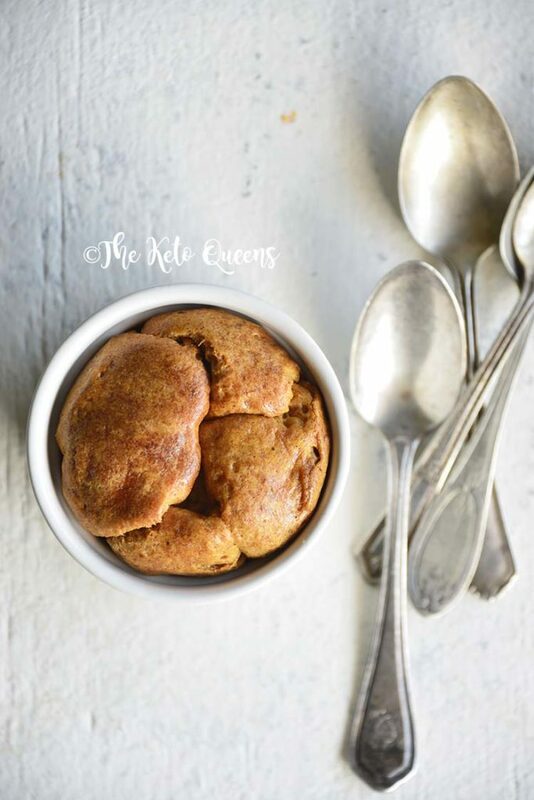 This keto brioche bread is a delectable and guilt-free way to indulge in your carb cravings–without the carbs! 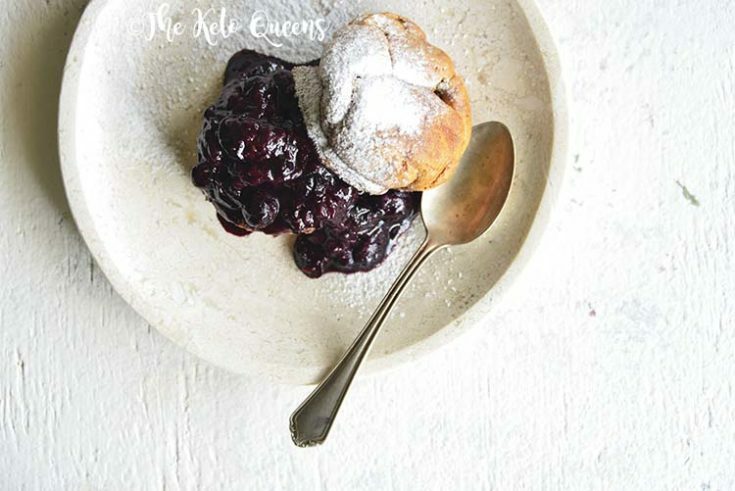 Light and fluffy an aromatic with lemon and vanilla, this Low Carb Brioche Bread with Homemade Blueberry Sauce will satisfy your cake cravings. This brioche bread recipe is low in carbs and is rich in protein and healthy fats. 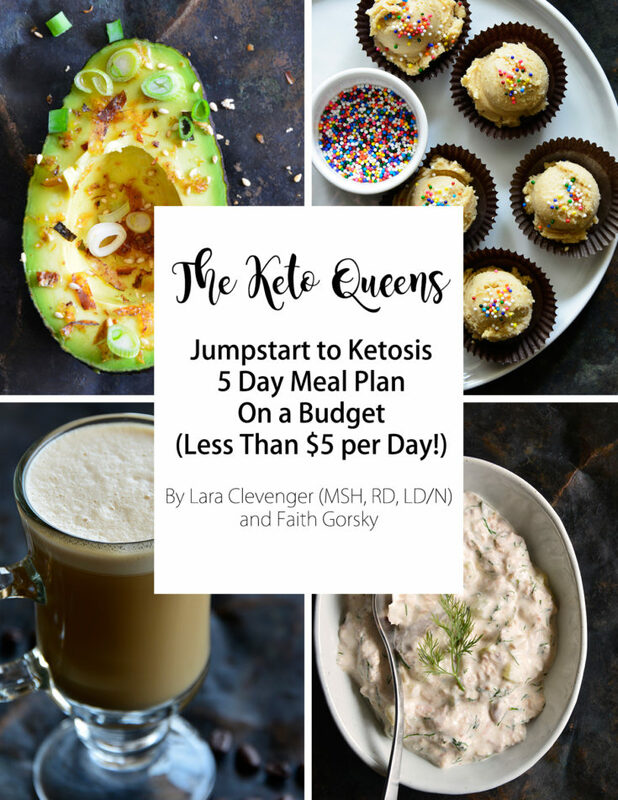 It makes for the perfect keto dessert! This low carb brioche bread recipe is so soft and fluffy, it’s nearly indistinguishable from your typical brioche bread. 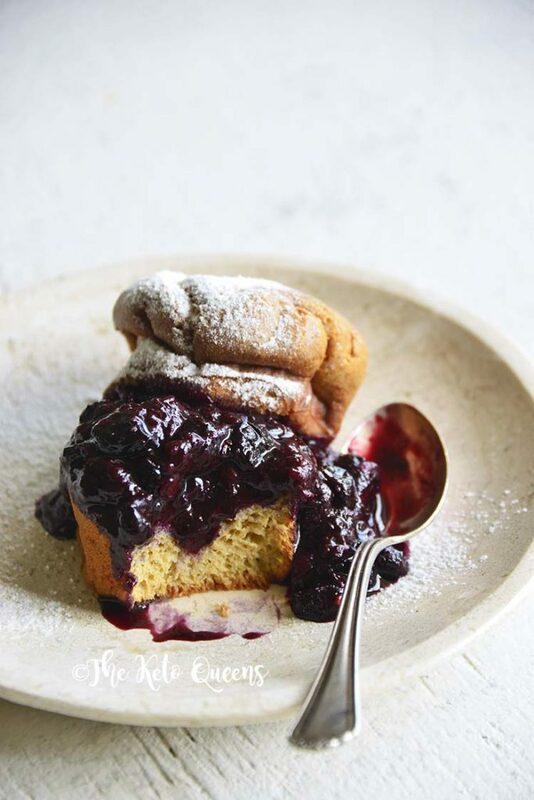 This simple brioche bread recipe pairs beautifully with our homemade blueberry sauce. Use this recipe for anything from hamburger buns to French toast to simply a comforting snack! What makes brioche bread different from most breads? What is brioche, you ask? Brioche is a French bread-like pastry that is very light and airy in texture. Brioche bread attains its golden color, rich flavor, and fluffy texture by adding lots of butter and eggs to the recipe. Our low-carb recipe makes this brioche bread keto-friendly! How long does brioche bread last? The key to a brioche bread that lasts is securing the moisture of the bread by using proper storage techniques. Once your brioche bread has cooled after baking, the leftovers should be sealed tightly in a plastic bag, which will help your bread last for about 3-4 days. To keep your brioche good for several months, wrap the freshly baked and cooled bread in aluminum foil, then in plastic wrap, and place in the freezer. If you slice your bread before freezing, it will be easier to thaw in the future. How does brioche bread taste? This mouth watering brioche bread recipe leaves you with a rich, buttery flavor that is a perfect mixture of sweet and savory. This brioche bread has a flaky, yet spongy texture that pairs beautifully with a fruit topping, such as a blueberry sauce. 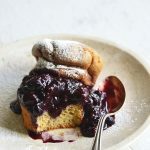 Topping this brioche bread recipe with our homemade blueberry sauce will satisfy all of your cravings for baked-goods! A regular brioche bun recipe contains 280 calories per bun (serving). Our low carb brioche bread recipe contains 247 calories per serving. What is the difference between brioche bread and challah bread? Challah is a kosher Jewish bread, while brioche bread comes from the French. Challah bread and brioche bread look very similar, but have rather different qualities in both texture and taste. The high content of eggs, butter, milk, and cream give brioche bread a semi-sweet taste and fluffy texture, much like a pastry. Challah bread is typically spongy and buttery, with a flavor that is more true to a bread than a pastry. What is the difference between brioche bread and regular bread? Brioche bread contains lots of butter and eggs compared to regular bread. This increases the fat content, which gives brioche bread its light, flaky, pastry-like qualities as compared to regular bread. 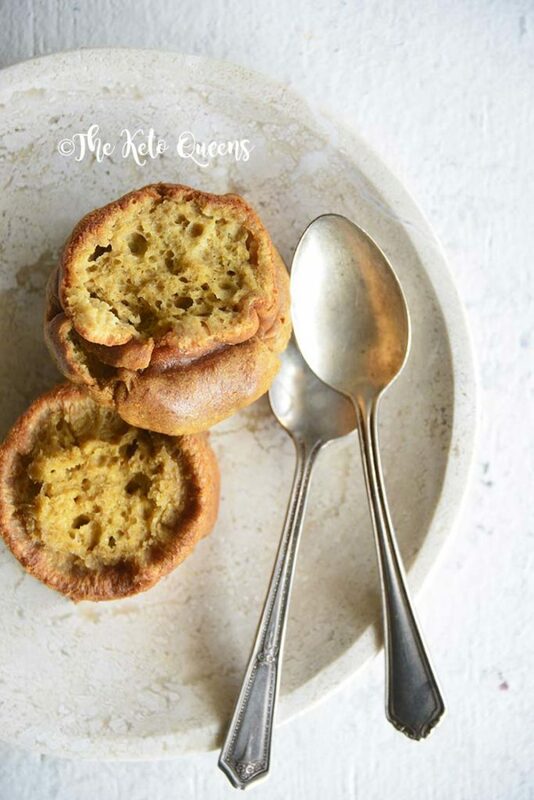 The higher fat content, combined with the low carb ingredients in this particular brioche bread recipe make this ideal for a keto diet! Is brioche a cake or a bread? Though brioche is rich and buttery like a cake, that is where the similarities end. Brioche has more break-like qualities than a cake. To make brioche more like a dessert, it can be made into brioche rolls, French toast, or topped our delicious blueberry sauce! Does bread last longer in the fridge? You should not store your bread in the fridge. Although it will delay the progression of mold growth, storing bread in in the fridge will cause your bread to go stale faster. Bread should typically be kept in a well-sealed plastic bag at room temperature to keep in moisture. 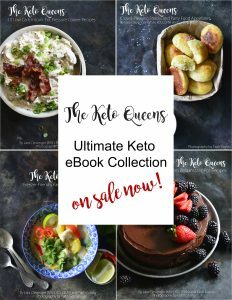 Check out these other great low carb bread recipes! The Secret ingredients to making this amazingly low carb brioche bread is Ancient Nutrition Vanilla Keto Protein and Burn Butter grass-fed butter with MCT and avocado oils. 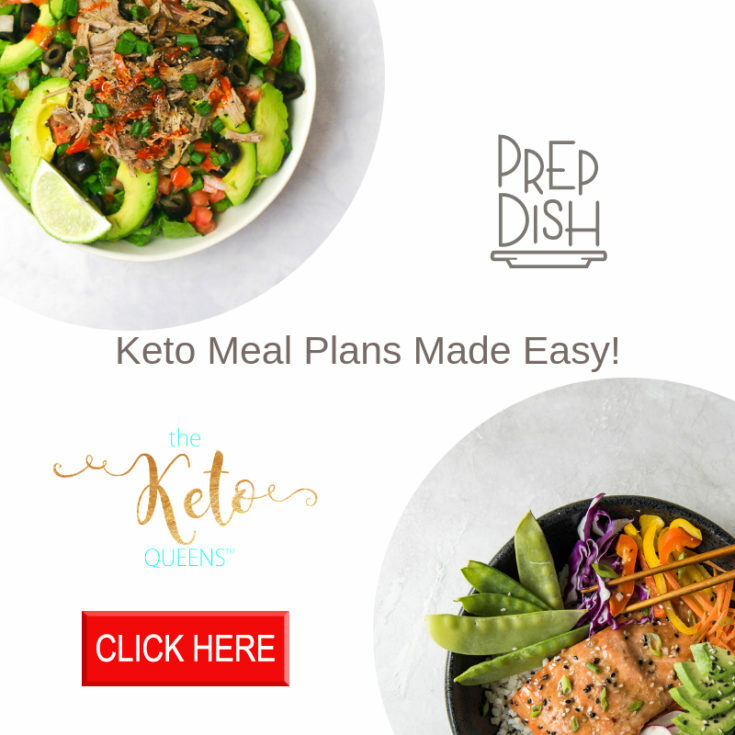 We picked up these samples at KetoCon this past June and we were so excited to try them again, but in a recipe this time! 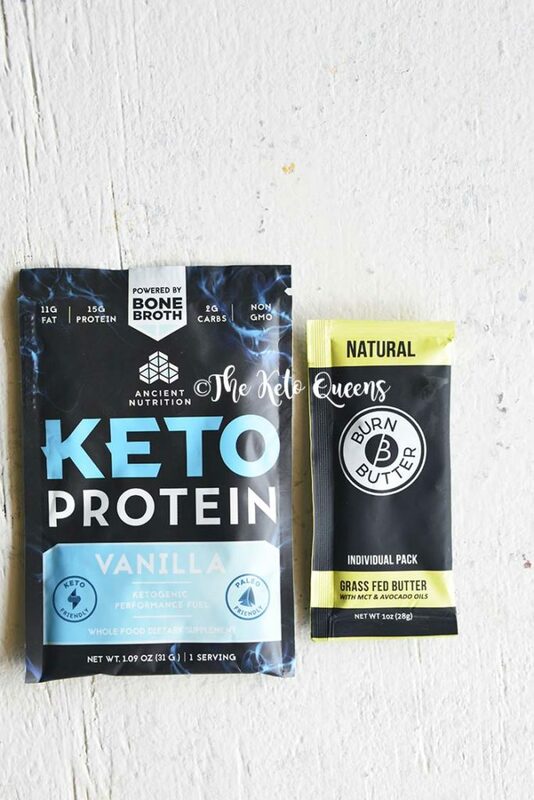 You can grab both of these items on Amazon and I’ve even seen the Ancient Nutrition Vanilla Keto Protein at WholeFoods! Preheat oven to 350F and grease the inside of a 6 oz ramekin with butter or coconut oil. Whisk together all ingredients in a medium bowl, and pour them into the prepared ramekin. Bake until the brioche is puffed and golden and a toothpick inserted in the center comes out clean, about 25 to 30 minutes. 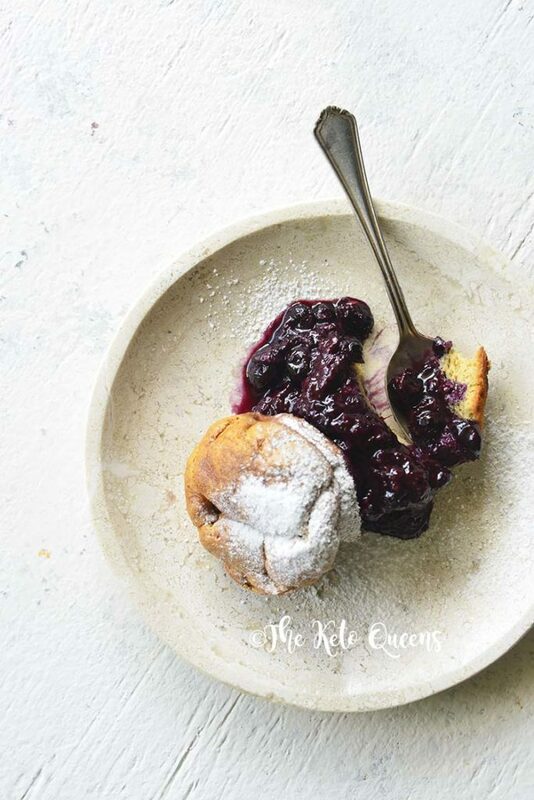 Serve the brioche topped with the blueberry sauce. If desired, dust the top with Swerve Confectioners to make it pretty. This looks delicious and thanks for posting it. While I would love to try it, the ingredients are pretty prohibitively expensive. Any decent substitutions? Kathy, Thanks so much for your comment! We haven’t tried this with other products, but we think it would work well with equal amounts of your fat of choice (instead of Burn Butter) and your protein powder of choice (instead of Ancient Nutrition). 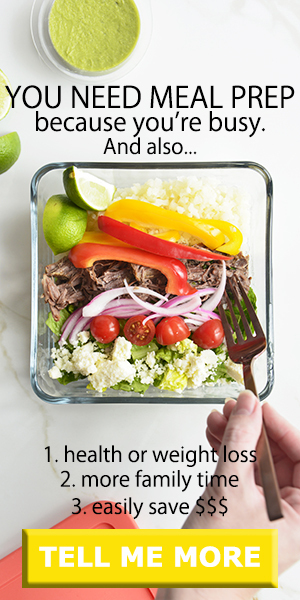 If you play with this recipe please let us know how it goes!